Photo of Liane Balaban © 2014 by Ralph Lucas. Used with permission. Liane Balaban’s career began when she appeared in A Divine Film. It was produced and directed by friends and she was offered a small role as a dead body. Her only other acting experience was in three short high school plays. Her 2002 film, Happy Here and Now was directed by Michael Almereyda who tracked Balaban down and offered her the starring role after seeing New Waterford Girl at the Sundance Film Festival. Balaban played the role of Natasha Petrovna in the Covert Affairs TV series. 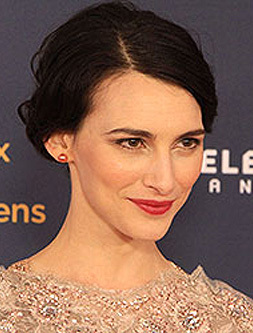 She is pictured at the 2014 Canadian Screen Awards. 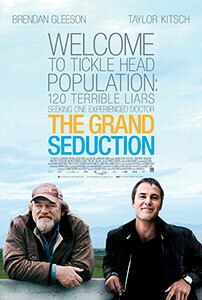 Poster for The Grand Seduction courtesy of Entertainment One Films.